Sai Gon Giai Phong has overcome numerous difficulties over the past 35 years to bring the voices of Ho Chi Minh City’s party leaders, government officials and everyday people to the rest of Vietnam, and the world as a whole, said Editor-in-Chief Tran The Tuyen. He was speaking at the ceremony to celebrate the 35th university of the first edition of the newspaper (May 5, 1975) and to receive the government’s Independence Order, Third Class, at Thong Nhat (Reunification) Palace on May 5. The event saw the attendance of HCMC Party Committee secretary Le Thanh Hai, Party Committee standing deputy secretary Nguyen Van Dua, Vietnam Fatherland Front Central Committee chairman Huynh Dam, city People’s Committee chairman Le Hoang Quan, city People’s Committee deputy chairperson Nguyen Thi Hong, and other high-ranking officials of many central and city agencies. It was also joined by representatives of the Ministry of Information and Communications’ Press Department, the Ministry of Culture, Sports and Tourism, the Vietnam Journalists Association, the HCMC Journalists Association, and four newspapers: Ha Noi Moi, Hai Phong, Da Nang and Can Tho. Reviewing the 35-year history of SGGP, Editor- in - Chief Tuyen said that on May 5, 1975, the first day of publication, SGGP published 300,000 copies, but it now boasted seven editions along with an online edition in Vietnamese and English. SGGP now has a staff of more than 600 members who work at the HCMC-based headquarter and its representative offices in Hanoi, Da Nang, Can Tho and Hai Phong. As the voice of the city Party Committee, Government and people, SGGP has tried its best for the past 35 years to surmount all difficulties and improve its professionalism and creativity to better itself in accordance with its principles and goals. Along with press duties, SGGP has actively launched various social and charity programs, such as the Good Literature and Fine Handwriting Prize, the Vo Truong Toan Prize, the Vietnam Golden Ball, and the Sentimental Attachment to Truong Son Road program, to name just a few. Mr. Tuyen also said SGGP’s development plan through 2015, with a vision for 2020, identifies three main fields of operation: provision of information and propaganda, economic development, and social activities. He said the plan, which has been approved by the HCMC Party Committee, identified the first tack as the newspaper’s main goal. SGGP staff will conduct their work professionally and in accordance with the newspaper’ orientation and objectives, he said. 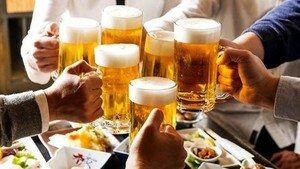 The newspaper will expand democracy in its operation and strengthen management and supervision of operations, he added. At the ceremony, city Party leader Le Thanh Hai handed over the Independence Order, Third Class, to SGGP. The newspaper also received a traditional flag awarded by the city People’s Committee and an emulation flag from the Ministry of Information and Communications. 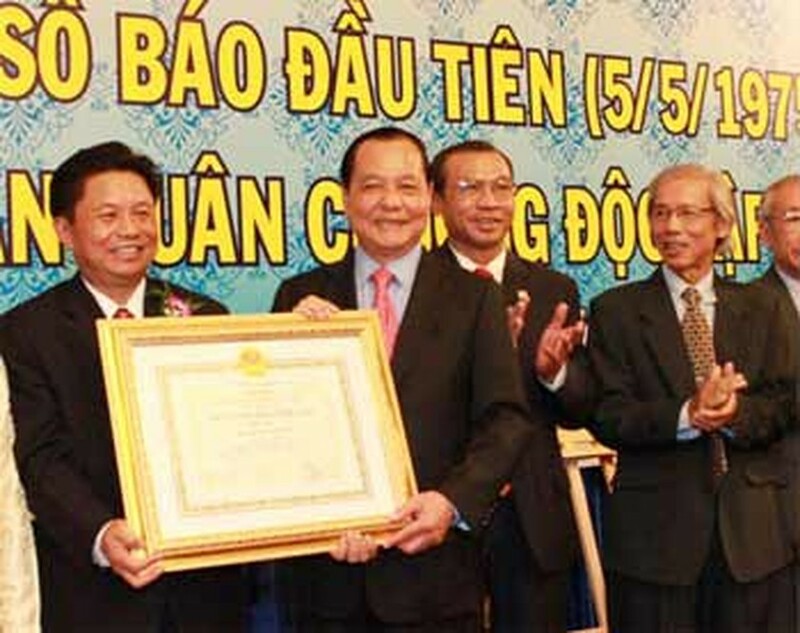 Editor-in-chief Tran The Tuyen and the newspaper’s Political and Social Department head Nguyen Duc Quang also received Certificates of Merit from Prime Minister Nguyen Tan Dung at the event.